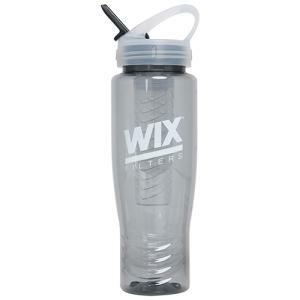 The Wix 28oz. Sports Bottle features a screw on, spill resistant sip top lid. It has an easy carry handle, and infuser chamber. The bottle can be used with or without the infuser chamber. The Sports Sipper is made with PET material, BPA free, and made in the USA. Hand washing is recommended.